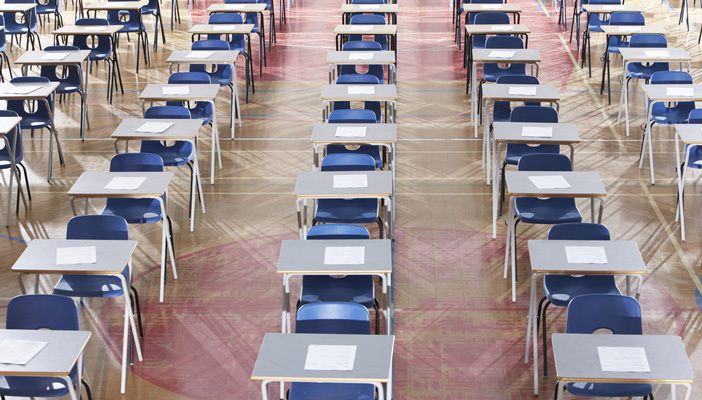 Survey findings have validated concerns about the quality of accessible GSCE exam papers. Rory Cobb, Principal Officer (Inclusive Education) at RNIB, reports. RNIB recently published a research report looking into the quality of GCSE exam papers in modified large print and braille in England. The research was carried out to address concerns expressed by many qualified teachers of children and young people with vision impairment (QTVI) about the variable quality of provision in this crucial area of education. Supported by the Office of Qualifications and Examinations Regulation (Ofqual) and the four main exam boards, the project involved two stages: a survey of QTVIs, teaching assistants and exam officers, and a quality assessment of 101 GCSE papers from summer 2015 provided by the different exam boards. 87 per cent of the professionals surveyed had concerns about the provision of exam papers in large print and braille. Particular concerns were the poor availability of practice papers, confusions about the process for ordering papers, and the perceived low quality of some diagrams, maps and graphs. The quality assessment of papers supported many of these concerns. Problems were found in the modification, layout and production of many papers, indicating difficulties at all stages of the process. The assessment of 101 papers indicated an average, per braille paper, of 2.3 problems which were likely to have a high impact on the candidate, and per modified large print paper, of 1.8 problems. This is much higher than the number of problems with standard papers. However, the report also identified much good practice which indicates that the system for producing modified papers is fundamentally still fit for purpose and can be built upon. The report concluded with a series of recommendations. Some aimed at ensuring greater consistency and quality assurance in the way that exam papers are modified and produced by establishing a proper system for recruiting, training and monitoring modifiers. Other recommendations relate to the ways in which QTVIs support schools in preparing their students for external examinations, including the availability of past papers. RNIB met recently with Ofqual and the exam boards to discuss the report and its recommendations. It was agreed to work together collaboratively to address the issues that have been identified.